The staff at Samarth also take on short-term consultancy services, working with prestigious national and international organizations. Some of the current projects we are involved in are described below. The Integrated Management of Neonatal and Childhood Illnesses (IMNCI), a national programme started in India in 2003 is a major initiative by the Government of India that focuses on newborn and child health. As on 2011, programme implementation has been completed in 433 of India’s 640 districts and more than 470,000 workers have been trained. Given that the IMNCI programme is an important strategy towards the achievement of MDG goal 4 (reduction of under 5 mortality), the Indian Council of Medical Research (ICMR) undertook to carry out an evaluation of the programme to determine how well it has succeeded in achieving its mandate. 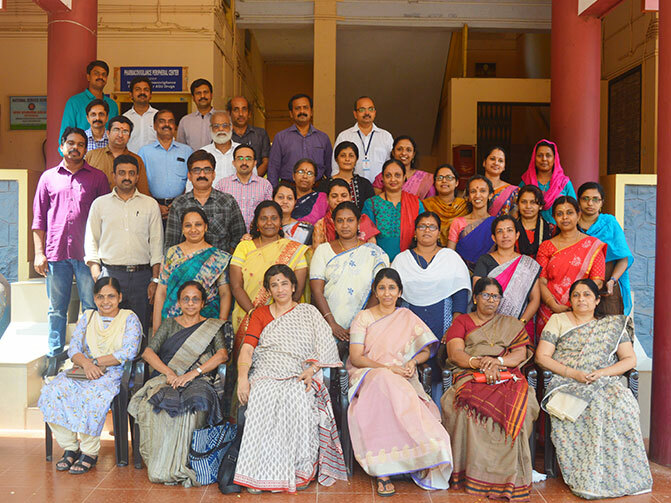 The National Institute of Epidemiology (NIE), Chennai, was entrusted with the task of carrying out a process evaluation of the IMNCI in 8 states in India. More specifically, the evaluation seeks to, i) describe the implementation of the programme in 8 states in India, ii) evaluate its implementation at the district level with respect to human resources, training, logistics, infrastructure, reporting and supervision iii) evaluate the quality of IMNCI trained health workers in terms of quality of care provided by them at home and at health facility level, and iv) evaluate community perceptions on the programme. Both quantitative and qualitative methods will be employed for this process evaluation. The 8 states that have been selected for the evaluation are, Tamil Nadu, Karnataka, Uttar Pradesh, Himachal Pradesh, Gujarat, Assam, Maharashtra and Orissa. Within each state, two districts have been selected in consultation with respective state National Rural Health Mission (NRHM) project directors. Dr. Shuba Kumar and Dr. Rani Mohanraj from Samarth have been engaged to undertake the training of the field teams from each state in qualitative data collection. They will also be carrying out the analysis of all qualitative data. Dr. Saradha Suresh, in her capacity as paediatrician is the external consultant providing technical inputs into the conduct of the study. Dr. R. Padmavati, Additional Director of the Schizophrenia Research Foundation (SCARF) in collaboration with Dr. Larry Yang, Assistant Professor of Epidemiology, University of Columbia, USA are carrying out a study that aims to culturally adapt the Societal Conceptions – Societal Rejections (SC-SR) Scale on a sample of chronic mentally ill patients attending the SCARF facility. The study also seeks to understand patients and family members perceptions on how people in the community think about and treat people with mental illness. Dr. Shuba Kumar, has been sub-contracted by SCARF as the qualitative consultant to this study and will undertake both the conduct of qualitative interviews with patients and their family caregivers as well as the analysis of the qualitative data.